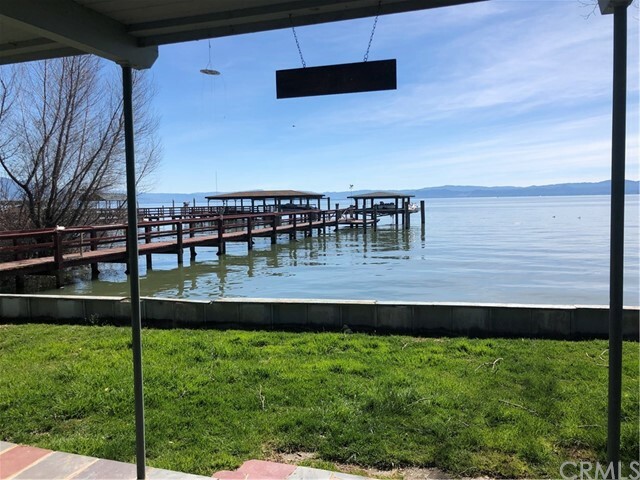 All Upper Lake homes currently listed for sale in Upper Lake as of 04/21/2019 are shown below. You can change the search criteria at any time by pressing the 'Change Search' button below. 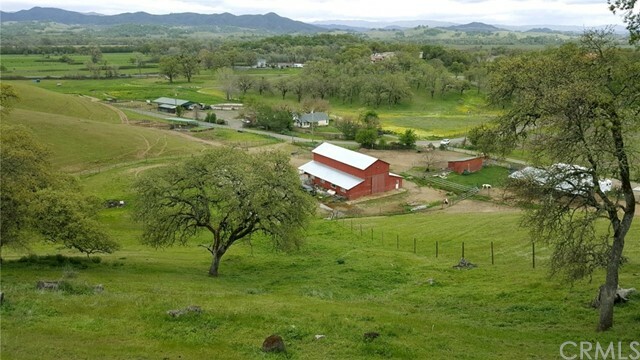 "A Ranch a True Farmer will appreciate! Some of the best soils for farming in Lake County. Currently producing three oat hay and historically a known named pear orchard, the possibilities of farming are whatever is to be desired with its abundance of water! Four separate legal parcels, each with its own well, and a domestic well providing plenty of water for its current use and 3 phase power to the main Ag well. Truly the Ranch has so much to offer..... 2 large Quonset Huts totaling approx. 8,000"
"Some of the best soils for farming in Lake County. Currently producing three oat hay and historically a known named pear orchard, the possibilities of farming are whatever is to be desired with its abundance of water! A domestic well providing plenty of water for its current use and 3 phase power to the main Ag well. Truly the Ranch has so much to offer..... 2 large Quonset Huts totaling approx. 8,000 sq.ft. plus farm labors quarters, managers quarters, office, mechanics shop, around another 3,0"
"This unique property can be a working HORSE Ranch! Outstanding one of a kind property. Seventeen acres M/L all level parcel with 3 homes and a cottage. There is also a 2 car garage with laundry area. 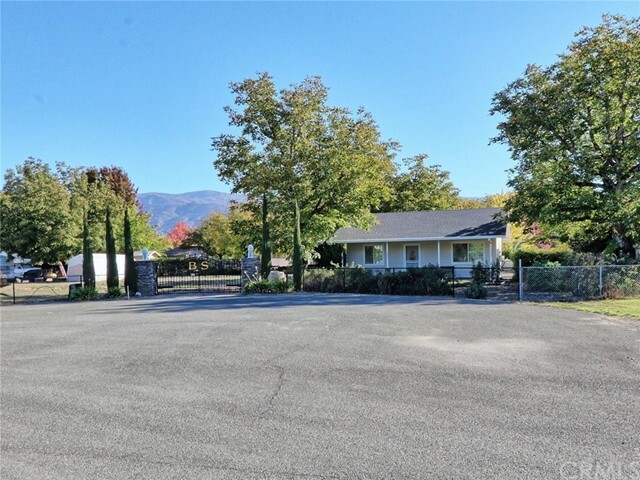 A horse barn with 4 stalls and an office, 5 covered paddocks and a walnut orchard. All the buildings are in good condition with new paint and new roofs. The two houses have solar. There is good income as all houses are being used as rentals. There is land behind the covered paddocks that could be us"
"Horse ready in Upper Lake! This property has it all- Manageable 6.34 ranch complete with a newer 2 stall barn including tack room, a 60x30 (1800sqft) insulated brand NEW SHOP with 2 rollup doors for easy access, nicely fenced & cross fenced all ready for your horses, & a large 2500sqft, 4bed/3bath home with an in-ground solar heated saltwater pool & spa! Home features a huge upstairs private master suite, 3 guest bedrooms on main level, new hardwood floors, new energy efficient ductless mini spl"
"Farm fresh, turn key just recently updated 2744 sq. 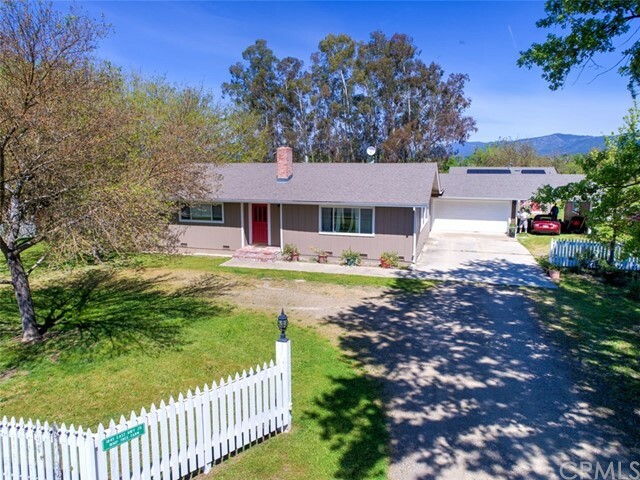 ft. 3 bedroom 3 bath Ranch Style home located at the end of the road! 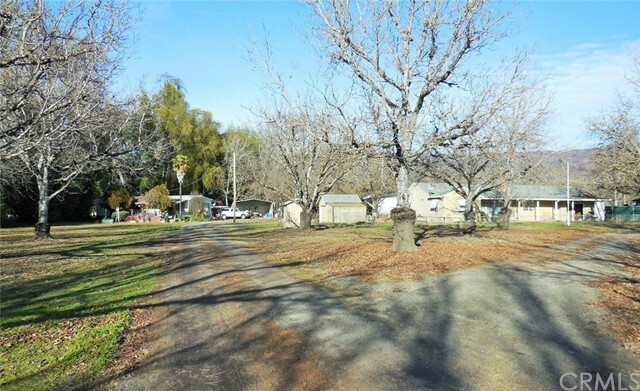 Ready to go, consisting of 2 parcels, this property is 3.1 acres combined with 1 acre in walnut trees, lots of garden area, great shop area, lots of covered parking areas for your farm equipment and toys and an additional caretakers residence! 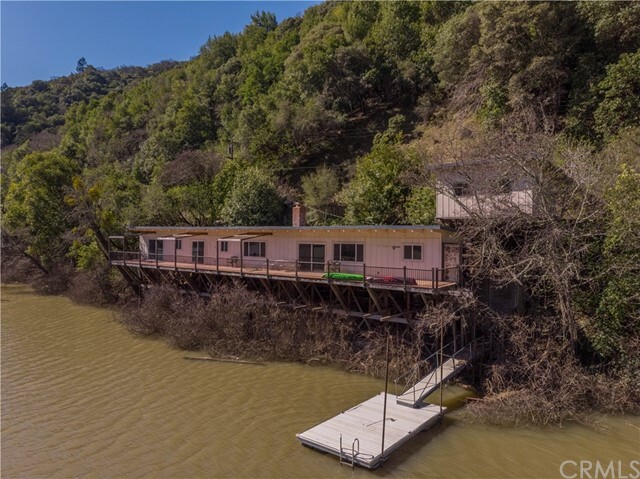 Situated just minutes from downtown Upper Lake, home features living room with pellet stove, spacious family room, full sized office, "
"If someone said that you could buy 1 and 3/4 acres of prime, lakefront property, in the state of California, for under $500,000, I'm sure that you would have been skeptical. Well... Welcome home to your very own, affordable, lakefront estate, located on beautiful Clear Lake. It keeps getting better; this property boasts a one bedroom guest house with a kitchen, which is perfect for the visiting relatives, or for extra income as a vacation rental. 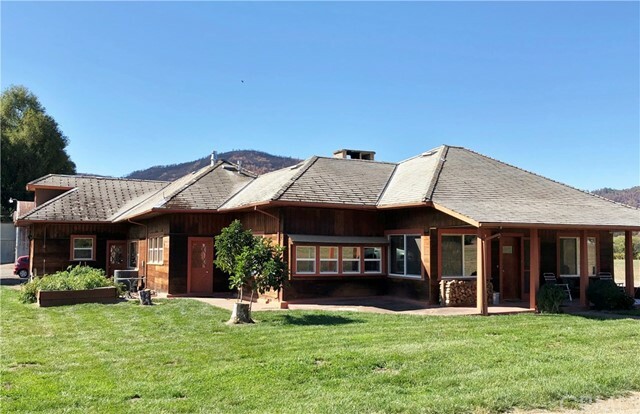 The current owners spared no expense on functiona"
"This wonderful country property features a newly built home on 2 contiguous parcels of 20 acres each. The 3 bed, 2 baths home boasts a master suite with a soaking tub, walk in closet, and wonderful views. There is central heat/air and ceiling fans. The open concept living room, family room combo and clean kitchen add to the indoor comforts. 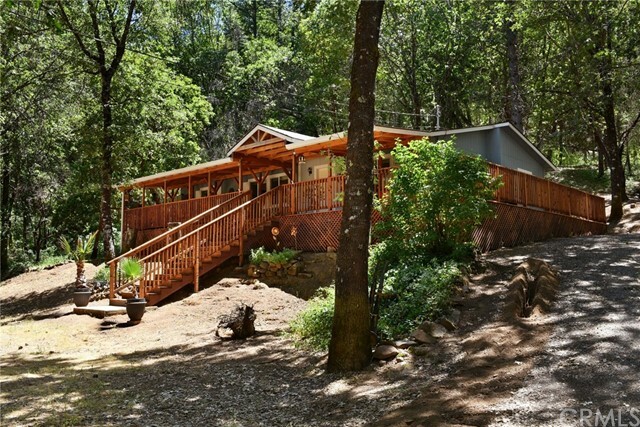 With a gorgeous Redwood deck that wraps halfway around the home makes outdoor living easy and a relaxing feeling as it should be. There is plenty of room to "
"A FAMILY COMPOUND WITH CUL-DE-SAC PRIVACY WITH 2 LIKE NEW HOMES! !Located walking distance to downtown historic Upper Lake. 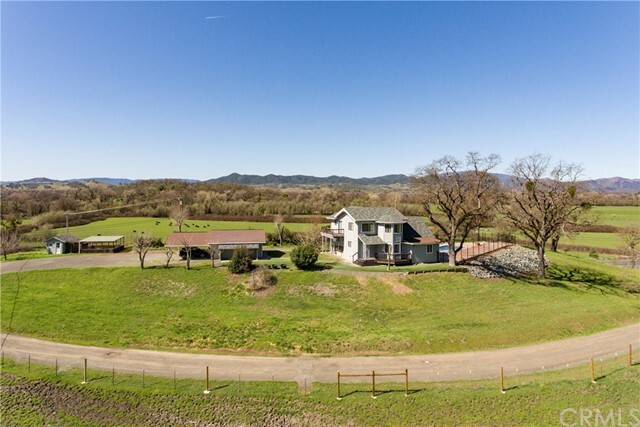 Located in a 1 Acre walnut orchard that is fenced and gated for extra peaceful privacy. Add to all of this a shop and fruit orchard. Move in ready. Main home has soaring ceilings, open living space, roomy master suite with bath and guest bedroom . Huge laundry room and pantry area attached to beautiful kitchen with all the amenities the chef in the family could desire. Secon"
"WOW, PRICE REDUCED! 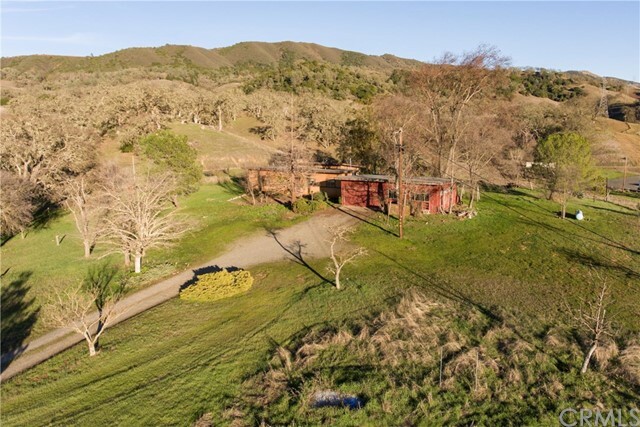 Wonderful Horse & Cattle Ranch on Gorgeous Rolling Hills, fenced and cross fenced, with a massive 51 sf x 69 sf Barn (3,519sf), plus outbuildings. Almost 15 Acres of Pasture Land with Private surroundings. Views for miles of Beautiful Native Oaks dotting the hillsides. Includes a Manufactured Residence, Confirmed to be built 12/29/89 on a foundation, 3bd, 2 bath, with an attached 3 car tandem garage, and a seasonal pond. 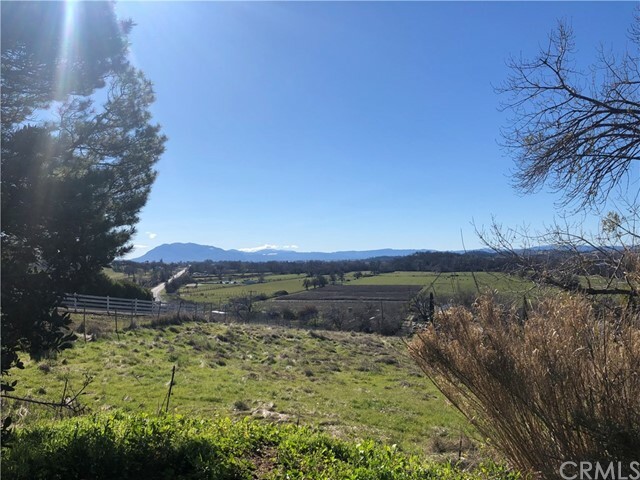 It sits on one of many fabulous view sites with easy ac"
"Turnkey home just minutes from 101 in beautiful Blue Lakes area. Over half an acre with R.V parking, boat parking, dog kennels, office, two street frontages all fenced in and even an artist studio. Two car detached garage with an office or extra room attached for an office. Short distance walk to the lake to hike, fish, swim and boating. 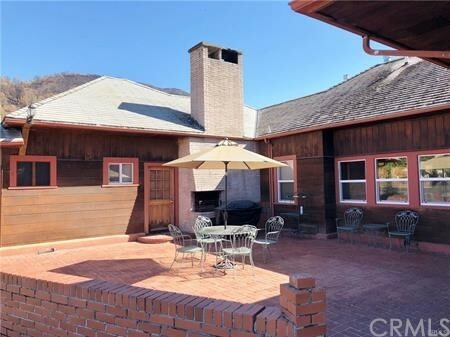 This home is a must see, could be a work and live home, vacation or retirement. Wonderful terracotta title floors with colorful Mexican designs threw out the ho"
"Nice piece of land just outside of Upper Lake! 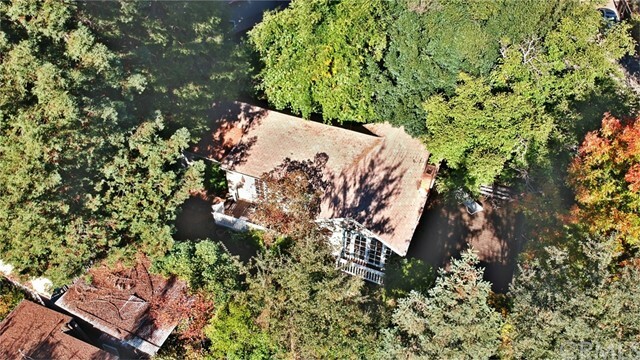 8.66 ACRE parcel with an older 3bed/1bth, 1538sqft home in need of some TLC. 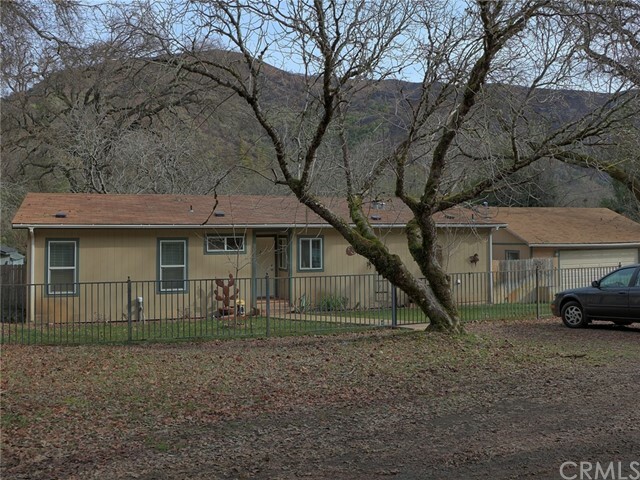 Property has great potential for a perfect horse ranch, farm, or just to rebuild the home to what you've been looking for! Detached, oversized 2 car garage with separate workshop area and small bonus room off the side. Home is on private well & septic. Fenced ranch, nice land, ready for the right buyer to bring it back to it's original beauty! Located right in between Upper"